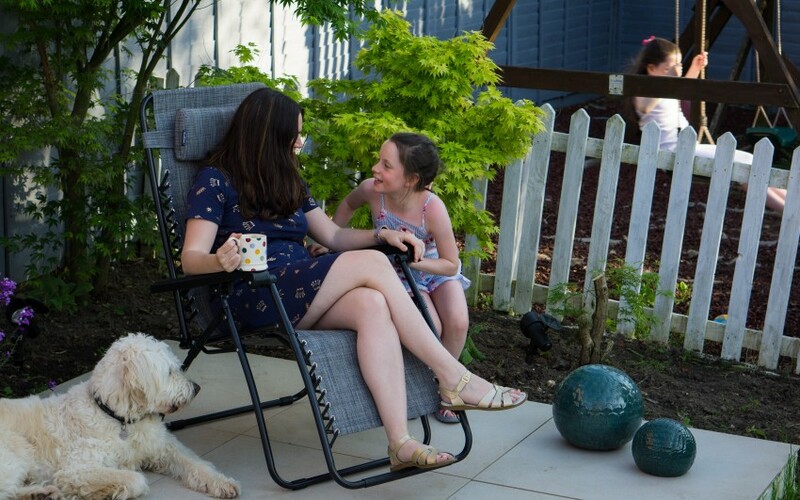 We’ve just had a record-breaking early May bank holiday this weekend and I was lucky enough to be able to try out my new VonHaus zero gravity chair in the sunshine! Last year we re designed our garden and created a really lovely space to relax in. Although our house is set in a residential road and surrounded by other houses, we have a lovely sunny back garden that isn’t over looked. 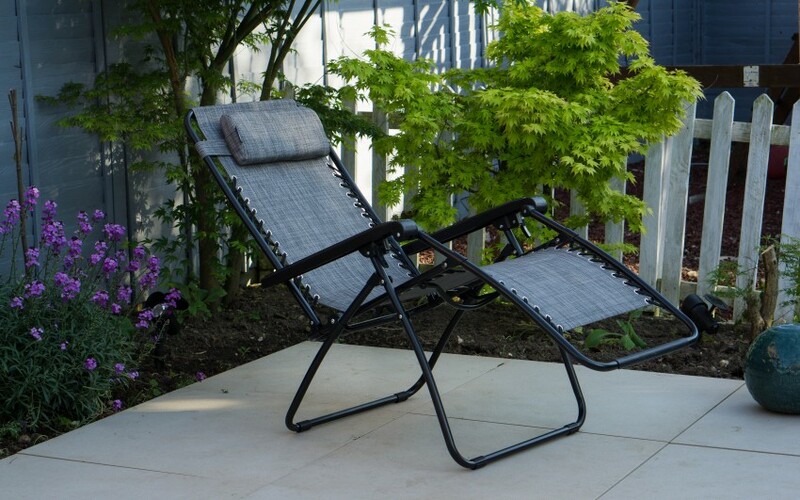 So I wanted a chair that I could sit out in the garden and relax on. 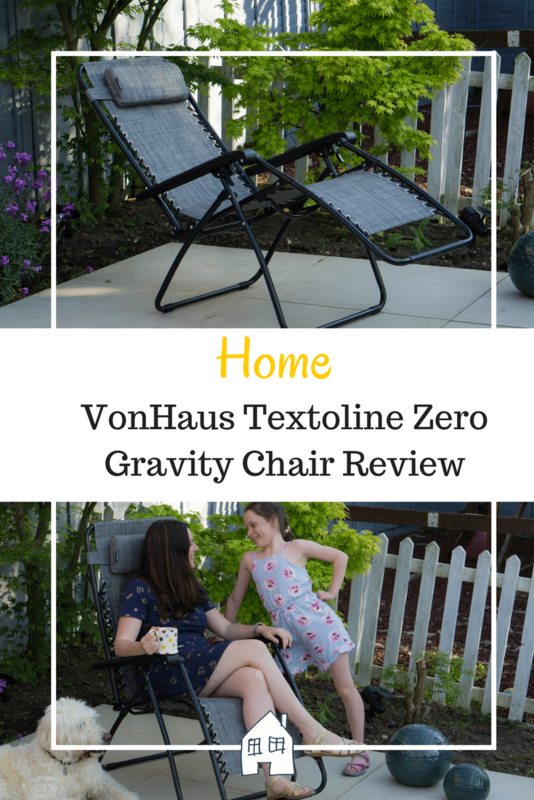 The VonHaus zero gravity chair fitted the bill perfectly. I needed something that is supportive and comfortable due to having back surgery last year. It has to be able to lay backwards so that I can relax my back into it. However I didn’t want one that only laid backwards. This has both the option of sitting and laying back. There is also a little cushion to place your head on, which can also slide up and down to meet different heights. You couldn’t ask for an easier chair to operate. There are two locking handles on the side of the arms which when released allow you to move the chair from sitting to laying backwards. Once you’re sitting on the chair then push your weight backwards and the seat will slowly go back into a laying position. When it arrived boxed up I expected I needed to put it together. 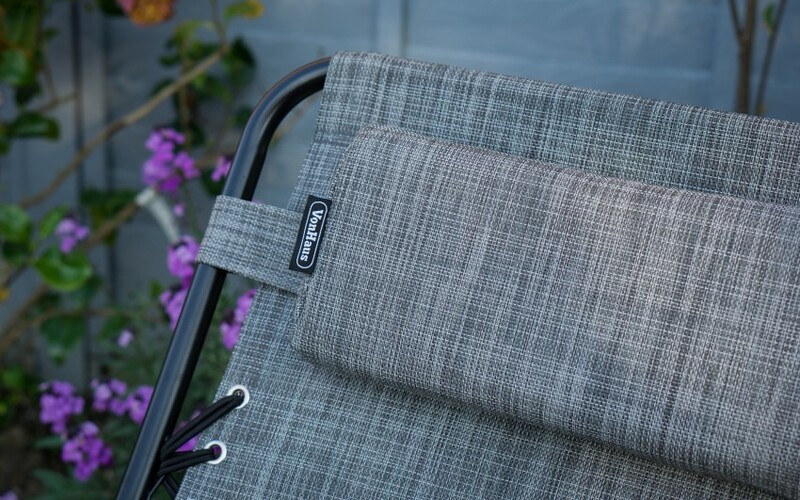 Not at all, it folds up neatly and small which is great for storing over the winter too. I am very impressed by the price of this chair. 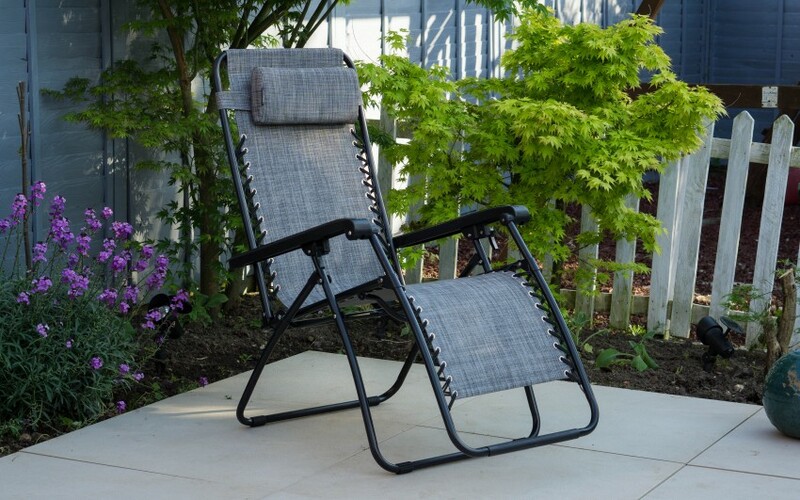 For one chair it is £34.99 but you can also purchase a pack of 2 for £64.99. My husband has his eye on a matching one now! I kind of expected the quality would be a bit rubbish for this price however they are really good. Sturdy powder-coated steel frames, the plastic arms aren’t brittle and the textoline fabric is really strong. They also come with a 2 year warranty as well. 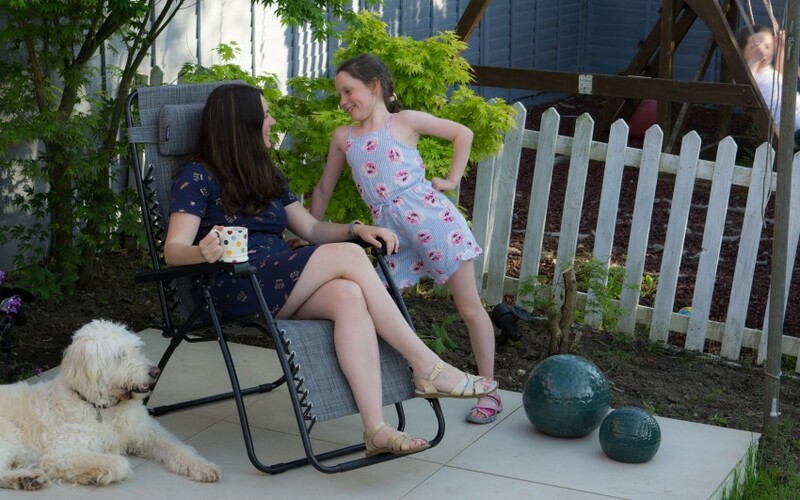 I am very impressed with this zero gravity chair and I cannot wait to spend some time sitting out in the gardening being able to relax and watch the children playing in the sunshine. Lets just hope we get some more sunshine hey! It wasn’t loved just by me either…….. I have a back condition and can see why a chair like this would be perfect! What an amazing price too! This looks like a very comfy chair I can use on my garden. Lovely photos! 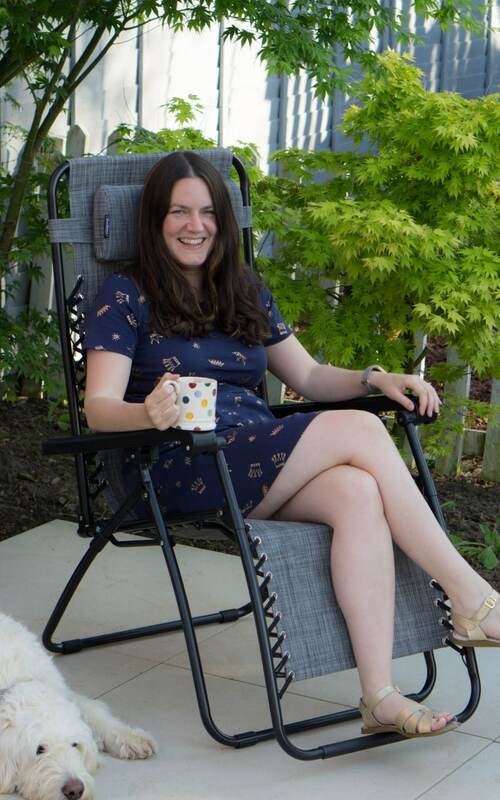 That looks like such a great outdoors chair. The moveable head cushion is a handy feature! Thanks, it’s handy isnt it! Oh, my friend has one of these chairs and you’re right – it’s so comfy! PERFECT for sitting out with a cup of tea first thing in the morning. The photos are gorgeous. Thank you very much, I’m glad you think it’s comfy too! Looks comfy, would love a couple in my garden for when the summer comes round! Yep my hubby wants one now so we can both relax in the garden! That chair looks so comfy! 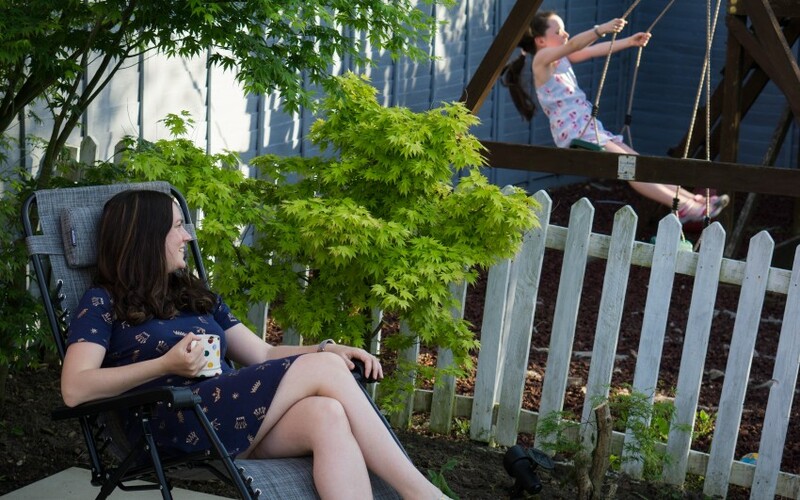 We are slowly doing up our backyard and I so want new seats…this one is on the list now. Yes that is the problem, I won’t get any jobs done!!! I really want one of these! I can’t believe how reasonably priced it is. I agree with you about wanting to have option to lay or sit, much better that way. Brilliant price isn’t it, I expected it to be rubbish quality but it isn’t at all. Yes I think you should have a treat, I knew I wanted a comfy seat but once it arrived I thought yep I NEED a comfy seat!!! This garden chair looks amazing. It definitely looks very comfy. Would love to put this in our garden. I like the price too. It was so comfy and such a great price! That looks lovely and comfy! It’s always nice to have a relaxing place to sit when you’re outdoors, and just in time for the summer too! Hopefully there’s lots of sunshine for you to enjoy it! Oh we can hope can’t we! 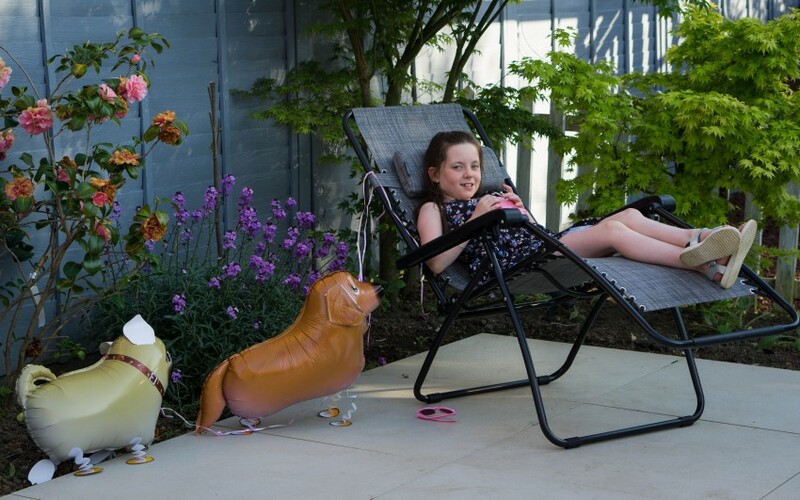 That chair looks so comfortable and what a great weekend to be simply lounging about in the garden! Oh this looks really interesting as I have sacral illiac joint issues and always need to – prop my foot on something so the bar at the bottom is speaking to me! Will certainly investigate. Wow! What a timely post. We’re actually after one of these at the moment! Oh that was good timing then! Oh my word Steph that looks so comfy I don’t know if I would ever move from it if I had one of those in my garden! I can’t wait to have a quiet day and do just that!